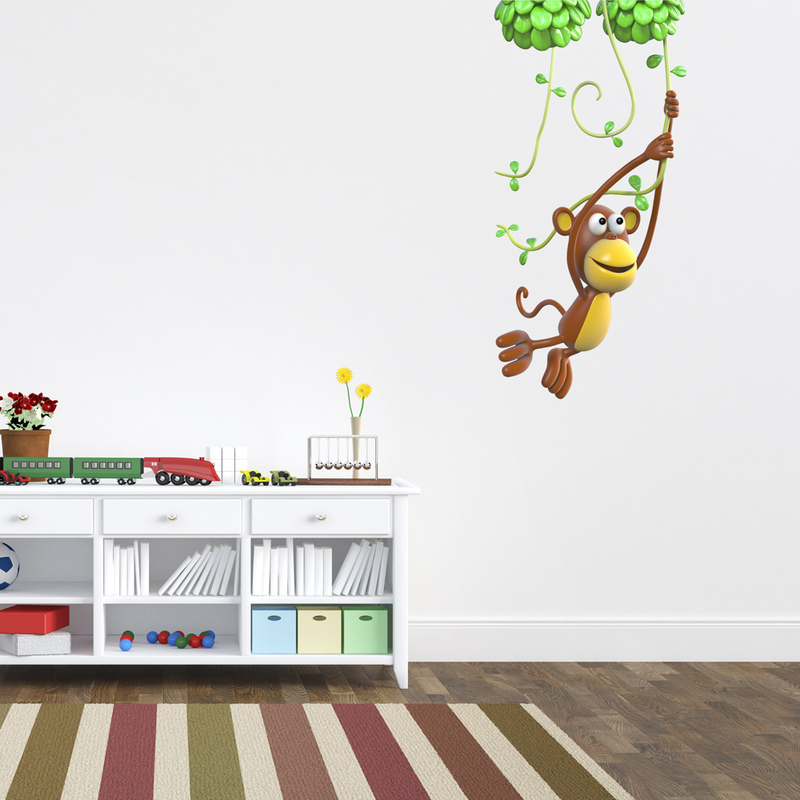 Bring any wall to life with our 3D Monkey swinging from a vine wall decal. Perfect for a jungle themed room or nursery. 3d refers to the shading and lighting of the design.